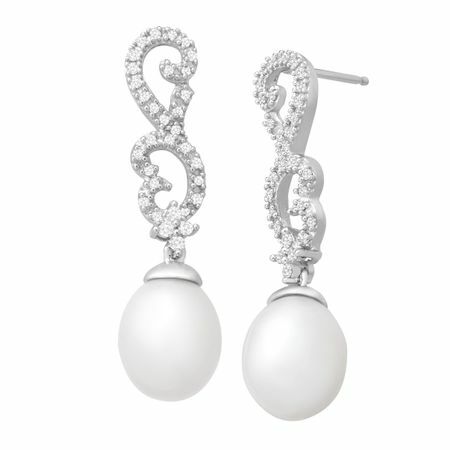 Elegant and easy-to-pair, these diamond and pearl drops complete daytime and evening looks alike. Oval shaped 10x8 mm freshwater pearls suspend from scrolls of round-cut diamonds totaling 1/5 ct in a setting of 14K white gold. Pieces measure 1 3/16 by 1/4 inches.